But things weren't always so obvious, and as Auburn has shown over the past few weeks, sometimes it's worth going back and investigating seasons from long ago. Especially if you're trying to beef up your history. Recently, Auburn athletic director Jay Jacobs has told multiple outlets that a university committee will discuss recognizing the 1913, 1983 and 1993 seasons because the NCAA football record book already recognizes Auburn as national champions in those years. So what about Penn State? POLL: Should Penn State Recognize The 1911 And 1912 Seasons As National Title Winners? As most already know, Penn State currently recognizes two national titles: The 1982 and 1986 seasons. These two titles were essentially unanimous as the Nittany Lions picked up national honors from 19 different polling systems in 1982 and 12 polls in 1986. Both seasons included the final No. 1 polling spot from the AP and FWAA. Interestingly enough though, Penn State has received national title honors on five separate occasions outside of the 1982 and 1986 seasons starting with the 1911 and 1912 campaigns. In fact, both the 1911 and 1912 seasons are listed on the NCAA's own website as FBS Football champions. In 1969 Penn State received honors from two polling systems, one polling system in 1981 and eight polls in 1994. The NCAA doesn't list Penn State as co-champions for any of those seasons. All things considered, aside from the 1994 season you might not really have an argument that they should be considered national title winners. 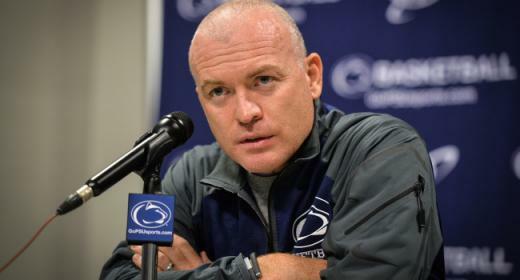 Even so, Auburn's current internal debate is not any different than one Penn State could have. The Tigers are looking to possibly recognize three national titles the NCAA already acknowledges just as much as they recognize Penn State's 1911 and 1912 seasons. It might not be flashy, and it might not change anything, but after getting over 100 wins wiped from the official record it would be something to see if the Nittany Lions turned around and claimed two national titles that are rightfully theirs. 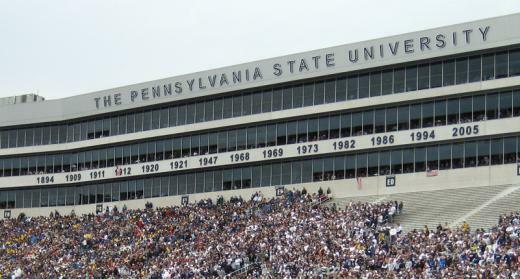 All things considered, Penn State is already halfway to recognizing those titles as the 1911, 1912, 1969, 1982 1986, and 1994 seasons are already showcased on the suites at Beaver Stadium. Incoming freshman guard Shep Garner scored 20-points this past weekend at the Mary Kline Classic in West Orange, New Jersey prior to making Happy Valley his new home.